62. Displaying the pottery fish, with pride. My alarm clock rings to tell me it’s behavioural activation time, also known as Nike Therapy, which means just do something and think about it later, if ever. My eventual aim is to re-write the classic publication ‘365 things to make and do’ in an updated style to suit these post-ironic times. Also, I’d like to add a 366th project before 2016, which is the next leap year. Today’s project is to shred a few copies of the NICE guidelines for Depression, mix them with PVA and turn them into hats. As I shred, I realise that these guidelines do mention the term ‘behavioural activation’ but don’t explain how to do it. They say nothing about arts, crafts, music or hats. Which is surprising, given that there is a long tradition of arts and music therapy in mental health. My hypothesis is that people need to do something with their hands to feel properly human. Manual work, crafts and organised sport have declined, leaving the hands as mere vestiges of devices that once could dig or sew or fire an arrow. Most people still prefer a mouse to a touch screen, when there is a choice. Many people still prefer a manual gearbox, even though automatics are now superior in all respects. I have another project coming along which is more complicated. 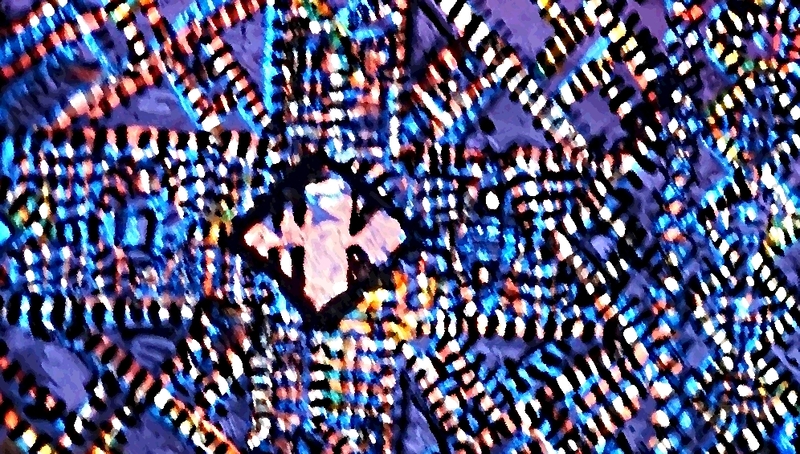 This involves taking photos of bits of stained glass windows, printing them in different sizes, using all the different, clichéd image filters in Pixelmator (such as the ‘ennui’ tool), tearing them up and sticking them onto a collage, which in itself looks like a stained glass window. For some reason I’m having trouble (as though it was the printer’s fault rather than incompetence on my part) getting them printed at the right size, so they are coming out like postage stamps instead of A4. If I had to give this activity an hourly rating for mood improvement, I’d have to rank it slightly below checking the lawn for cat faeces, collecting it on a special trowel and flinging it over the garden fence onto the railway line. But it might improve. Either the picture is going to be postcard size, saving a lot of PVA, or I’m going to have to ask a teenager how to resize the images. Or perhaps find an art therapist, just to check whether this whole activity is artistic or not. There are no art or music therapists in my local area and come to think of it, none in the hospital where I work. This demise of arts and crafts based therapies has been insidious and largely unreported. This seems like a pity, and I wonder who’s to blame. Somewhere or other, the mental health establishment has got the idea that ‘therapy’ has to involve a bus journey across town to speak to a person in an office for about an hour once a week for about 20 weeks. True, these activities are evidence-based to an extent. It’s just that the evidence has been collected along narrow strands of enquiry, being derived mainly from a ‘clinic’ context. No-one has bothered to see whether listening to good music or watching football or making rhubarb crumble can treat Depression effectively. And imagine the practical difficulties in conducting such studies. Therapies where numerical ratings are intrinsic, such as computerised CBT, have the advantage in terms of generating evidence of improvement. They have largely taken over from other modalities, leaving a long queue of psychoanalysts at Jobcentre Plus. There’s perhaps a lesson to be learned from Interpersonal Psychotherapy, (IPT). This therapy was invented by Klerman, Weissman and colleagues in the eighties. It’s a standardised approach with a proper instruction manual, which makes it amenable to testing. In particular, it was tested against drug therapy – in those days mainly tricyclic antidepressants. Its designers were highly scientific individuals with an excellent grasp of the various different ‘models’ of Depression: biological, family, cognitive, psychoanalytic, feminist etc. They knew how to fund and conduct controlled trials and publish the evidence properly. And thus IPT is one of the two types of therapy that NICE bother to endorse. ‘Members of activities groups were offered activities that did not involve the use of art or craft materials’. My italics, meaning ‘why on earth not?’ It’s not the full Blue Peter, not without the sticky-back plastic. This is what the new version of ‘365 Things’ should try and achieve – a standardised arts and crafts therapy manual. So we can finally show that meaningful activity is good for people. Each task should be spelled out clearly, like in Marguerite Patten’s 1000 favourite recipes. And include proper materials like policy documents, shredders, glue and paint. For a long time the surest way to upset an occupational therapist was to mention basket weaving. Now, I say it’s about time for a raffia revival. 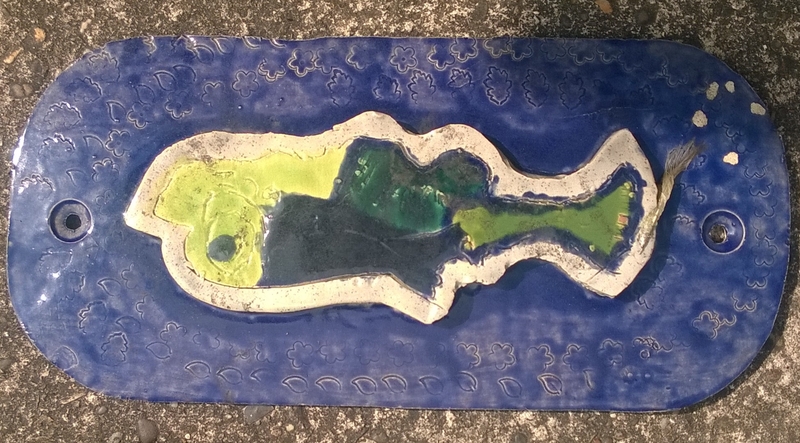 And it’s time to display the pottery fish, if you’re lucky enough to have one.